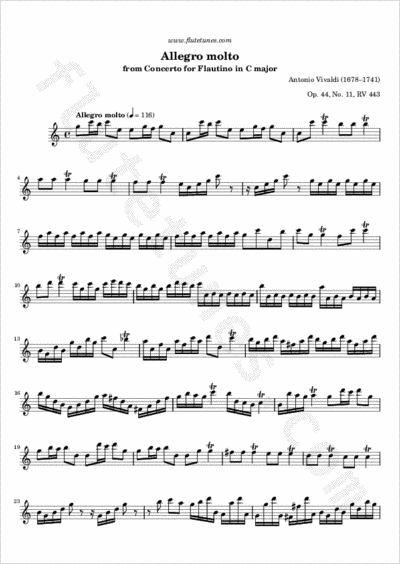 This is the last movement of the famous Piccolo (or Recorder) Concerto in C major by Italian composer Antonio Vivaldi. The soloist's plethora of fast-note patterns is here even more dazzling that in the first movement, with swirls of colorful sounds and notes tossed about athletically! Thanks to Benito for suggesting this piece!